Sports medicine in Palm Beach County at NovaGenix can help athletes heal with regenerative medicine procedures like platelet rich plasma, or PRP and Stem Cell therapy in our Jupiter, Florida Anti Aging Clinic. Testosterone Therapy in Palm Beach/ Jupiter/ Palm Beach Gardens/ West Palm Beach. Where some benefits will start to appear in the first month of therapy, most effects begin to take place over the first few months. All these benefits have made testosterone replacement therapy usage increase significantly over the past few years, and with good reason. Because it works. While TRT is usually well received and completely safe just as long as testosterone is kept within normal, physiologic levels. This is why it’s important to have a qualified and experienced physician. Testosterone replacement therapy produces a reasonable increase in lean body mass (muscle mass) in men with low T. TRT users normally gain around three to six pounds of lean muscle mass in the first six months of therapy. As men age, they loses muscle mass, typically about 0.5 to 1.0% per year after they turn 40. This rate in reduction becomes much faster after the age of 40 and is much worse if they have low testosterone. Muscle contributes a significant amount to an individual’s resting metabolism. Therefore, any loss in muscle will slow down the resting metabolism. Once T levels are stabilized within normal range, some increases in muscle mass typically start to taper off. This stabilization often occurs after around six months of treatment. You will look lean and tone, and feel amazing. Testosterone therapy also produces a moderate decrease in body fat, especially abdominal fat mass, in elderly men with low T. Typical fat loss will range anywhere between five to ten pounds in the first six months of TRT treatment. So you will not see a significant change in weight, but rather a real change in BMI. You will have more muscle and less fat. You will feel energized and stronger with more focus. You will in short, feel like a new man. As men age, they typically will gain fat mass, especially abdominal (otherwise known as visceral) fat. Besides giving you an unwanted gut and love handles, this increase in fat increases the incidence and risk of cardiovascular problems. TRT for men with low levels can keep you thinner and healthier since long-term studies consistently show a decrease in fat mass and men at healthier weight suffer fewer chronic health conditions. 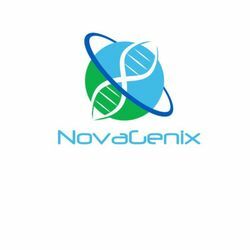 For more information on TRT therapy, visit www.NovaGenix.org Call us today at 561-277-8260 or email us at info@NovaGenix.org and one of our clinical experts will help you determine in hormone therapy is right for you. Platelet-rich plasma therapy, often called PRP therapy or autologous conditioned plasma (ACP) therapy, is a procedure that utilizes the blood's natural healing abilities to repair damaged tendons, cartilage, ligaments, muscles, and possibly even bone. It can also help rejuvenate both hair follicles and skin. Relatively new in the United States, people are beginning to use PRP injections to treat a growing list of orthopedic problems, rather successfully. For example, a large number of patients have used PRP to treat their knee osteoarthritis with terrific results, but it is also useful on other joints. Platelet Rich Plasma Therapy And Why You Need To Consider It Now. Platelet rich plasma, also called as "PRP", is a procure where’s e a patients blood is drawn and then spun and separated using a centrifuge, thus producing a concentration of platelets above the normal levels that would be found in the blood. Platelets are the cells that cause the clotting of our blood, but they also possess tremendous potential in enhancing the rapid healing of muscles, tendons, and ligaments in patients who may have aggravated injuries sustained during physical activity. There are many Studies that suggest that the growth factors which are released by platelets, may help improve and speed up the repairing of tissue, and accelerate the healing process by adding a higher concentration of growth factors and cytokines by creating a PRP sample. PRP Therapy: What is PRP and Who Can it Help?